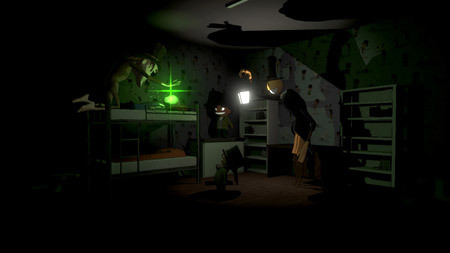 Brother Wake Up is an amazing 3D first person survival horror game developed by Tokan. The evil sorcerer Watchmaker put to sleep your little brother and broke the clock so they couldn’t go. Now a dream for your younger brother will last forever. To awaken the brother you need to find all parts to repair the clock. Only then will the spell of the watchmaker will subside and your brother will Wake up. You have 4 hours. For every hour you have to find a few details. Every hour can last indefinitely if they catch you or you will not find all the details for this hour. Avoid the watchmaker’s helpers, they will hunt you to stoped. If you get stuck in the game, check out the video walkthrough and gameplay for the game. This entry was posted in PC Games, Walkthrough and tagged Brother Wake Up Cheats, Brother Wake Up Game, Brother Wake Up Gameplay, Brother Wake Up Guide, Brother Wake Up Hints, Brother Wake Up Review, Brother Wake Up Solutions, Brother Wake Up Strategy, Brother Wake Up Tips, Brother Wake Up Walkthrough by Marvin. Bookmark the permalink.